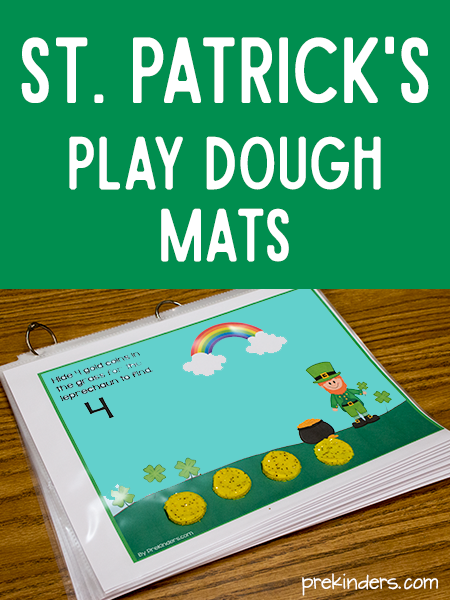 Here are some St. Patrick’s Day Leprechaun Play Dough Counting Mats that your prekinders are sure to enjoy during St. Patrick’s Day. There are more counting mats on my play dough math mats page, so be sure to check them out. Print the mats and either laminate them or slip them into clear page protectors. I usually put them in page protectors and hook them together with metal binder rings to make them like a flip book. The top of each mat says, “Hide [#] gold coins in the grass for the leprechaun to find.” Children are always told that leprechauns like to play tricks on people, so I’m going to tell my prekinders to play a trick on the leprechauns by hiding the gold coins in the grass! Children will identify the numeral on each page, and count out the correct number of coins to place on the mat. 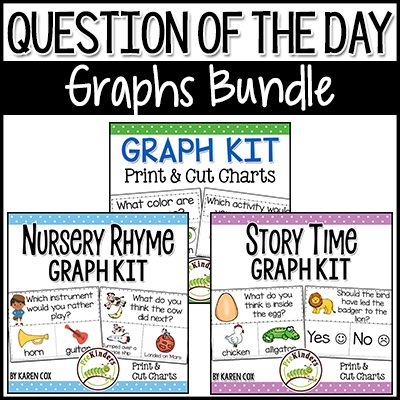 There’s also a toddler mat for children who are not ready for counting yet, but need the fine motor practice. This mat simply says, “Hide gold coins in the grass for the leprechaun to hide.” If you need numbers higher than ten, I suggest using the toddler mat and writing in the numbers you want with a bold black marker. Here’s how children will make the “gold coins” for the play dough mats. Save a cap from a 16-20 ounce disposable bottle of water. Children will flatten their play dough and use the bottle cap as a play dough cutter to cut out little circle “coins”. For fun, you can knead some gold glitter into yellow play dough to make it look more like sparkly gold coins. As an alternative to play dough, use yellow plastic bingo chips or gold coins purchased from a party supply shop or circle shapes cut from craft foam. Need more activities? Find them on my St. Patrick’s Activities page. What a cute idea for St. Patrick’s Day. My Pre-K 4-5 year olds love your Play-doh mats, so i’m sure they’ll be excited about this one with the gold glitter. Thank you so much for the cute, fun, educational, professional mats. Thank you so much, Jean! 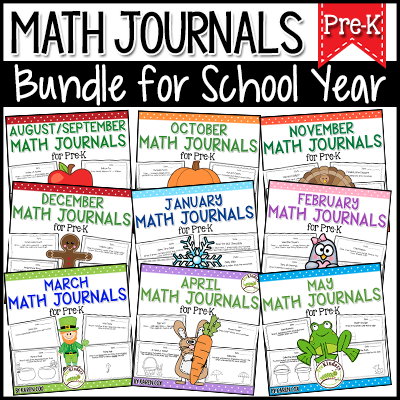 Hope your students enjoy it! awesome idea..never thought of using rings to hold the cover sheets together…thanx for sharing. I love the new look! Further the caterpillar is an awesome idea and indeed we witness an immense transformation in our kids by the time they are ready to leave kindergarten. I LOVE the St. Patrick Day Mats. My 3 year olds love love love play-doh. What a great idea to help them with their counting. I think this will really keep them busy. I have to make sure that I make one for everyone because they are going to love it. Thanks for all the wonderful ideas. Looking forward to the spring ideas. Great Job!!!! I love the new logo, super cute caterpillar. I was thinking with the toddler mats we could have them practice positional vocabulary. For instance, hide gold coins under the rainbow or next to the clover, etc. Should be lots of fun!